We’ll be hosting our usual live chat during the August 3rd Activision/Blizzard Q2 conference call. (Register and you can stream the audio live.) These calls are fairly tedious for gaming fans, focused as they are on the financial details US corporations are legally-obligated to reveal, but since Blizzard often announces product releases and other key dates (such as beta start dates), they’re worth paying attention to. I don’t have any inside info on this (Bliz said nothing about the beta start ding last week’s media event), but I do expect that during this call they will announce a date, or at least a window when they’ll be starting the Diablo III Beta test. And it’ll be soon, like within the next couple of weeks. Click through for the chat window; it will go live at 1pm, half an hour before the 1:30pm PDT, August 3, 2011 conference call. 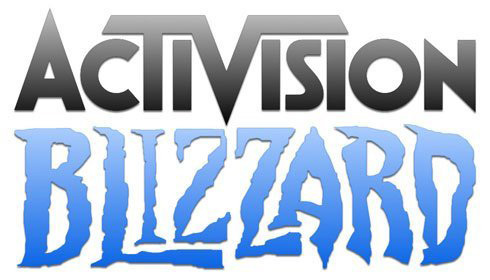 Activision/Blizzard Q2 Financial Conference Call can be seen here. News/Chat from February’s Q4 2010 conference call. News/Chat from May’s Q1 2011 conference call. Type your comment into the box. All reader comments are seen by the moderators. Clever comments are promoted so everyone can read them. We had 3800 people in the last chat, so it’s not feasible for everything everyone says to show up, or the text would scroll as quickly as if you were holding down your arrow button. Mike Morhaime usually speaks last, about 40m into these events. If there’s any Diablo 3 Beta news, it will likely come then. right after work’s over. awesome! kick back with a beer and listen very VERY closely to a live audio stream hoping to hear a release date for the beta of a game that I’ve been waiting for for years. damn it feels good to be a geek. I’m getting so hyped now. I still remember the morning I woke up and I went straight into the computer to see the development of the ice breaking on blizzard’s home page. And it has broken alright. My brother almost cried I think. It was amazing. Been waiting for too long. Anyone know how long the call usually lasts? The presentations go about 40-50m. And they take some questions afterwards, from reporters from media like the Financial Times, WSJ, Forbes, etc. After May 9th conference call, and this Monday´s nerfage of the game, I am feeling mix of dread of any new news in fear they may match this mondays, and, disappointment. I was super hyped for both May 9th call and this Monday´s event, stayed up all night even, and… got bitterly disappointed both times. Vague 3rd Q maybe, sorta, not sure, “news” in previous call, and, well, no skill points, RMAH, etc. on Monday. So, no, I am not feeling particulary excited or hyped about the event. In fact, my hype well for the game seems to have dried up. the http://www.shareholder.com/visitors/event/build2/mediapresentation.cfm?companyid=ACTI&mediaid=47236&mediauserid=5456652&TID=1344149477:30dd5bc4843599bc2dfffc22473c795a&popupcheck=0&shexp=201108022147&shkey=a7d903eded78319fa3cf3b7c39927335&player=1 last one was just under 1 hour. which i by the way could only play using the internet explorer. neither opera nor firefox seem to work with it. something to keep in mind for tomorrow. I had no issues using Chrome, but the heads up is good. To be honest, with the recent announcement of the RMT AH, and also Bashiok saying that the beta will be smaller in attendance than any of their other recent betas (Cata’s beta was not very “big”)…I’m not horribly excite, because I’m probably not going to get in anyway. It’ll be D2 development all over again for me. I probably won’t be around until after the call tomorrow. Got home earlier than expected, and I forgot about the time difference so I had time to catch the “important” bits. If anything, a beta announcement tells us that it won’t be too long before release, and that the game actually is coming out. did you send out the invites yet flux? I will not be able to make the chat or the call. Still hoping for beta date though. Isn’t it 1:30 instead of 1:00? Yes but the chat begins half an hour before the event. When they say Q3… what’s the month range on that? Is it for 2012?? !